Here’s a switch. 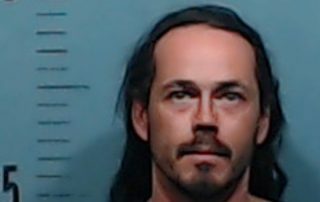 Canadian illegal immigrant (white male) arrested in Texas, awaiting deportation. 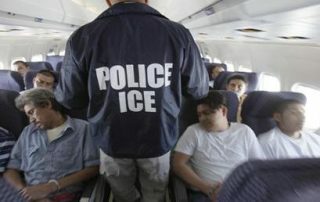 Hey, liberal weenies, deportation is racism, eh? 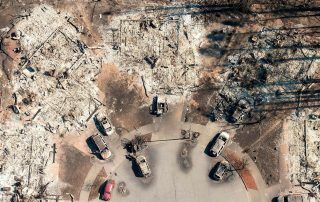 Bob and Doug McKenzie, crack reporters for Great White North TV, Canada’s favorite daytime TV talk show, are following this story and will have a full update tomorrow. 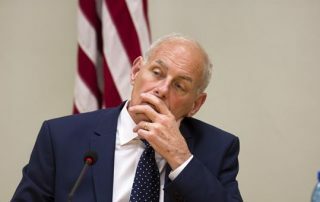 Homeland Security Secretary Kirstjen Nielsen plans to prove it by arresting the leaders of sanctuary cities for not complying (violating) federal law. 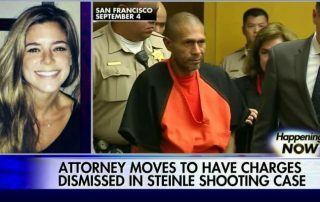 Kirstjen confirmed Tuesday that she has asked federal prosecutors to lodge criminal charges against the leaders of sanctuary cities. 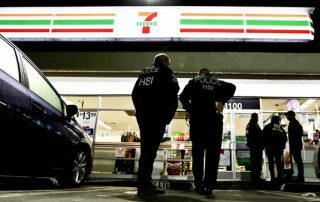 The ICE operation, across 17 states, is one of the largest illegal immigration crackdowns against an employer since President Trump was elected. Hiring records were audited, the aim being to punish employers who hire illegal immigrants. Israel is paying illegal immigrants three years’ wages and a free airline ticket to go home. Terrible idea! 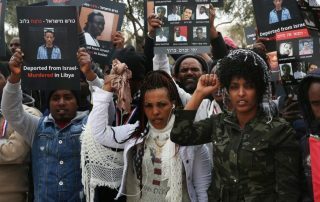 If I were a destitute African peasant in Eritrea, where the average monthly wage is $95, I would be all over Israel’s offer to give me a free $3,500, free to anyone who sneaks into the country. Video and photo gallery of signs an artist has been adding to CA welcome signs. If the signs weren’t so sad and true, they would be hilarious! 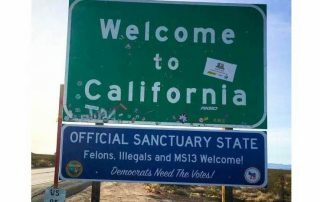 Case in point, the deplorable work of a deplorable California sign artist who travels around the state adding his own addendum to state and local welcome signs. If the sign artist’s work wasn’t so sad and true, it would be funny. New report from DOJ and Homeland Security. 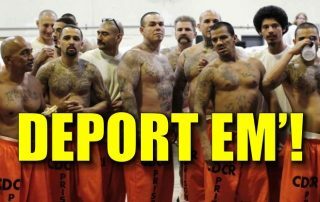 A shocking 92% of all foreigners in federal prisons are illegal immigrants! 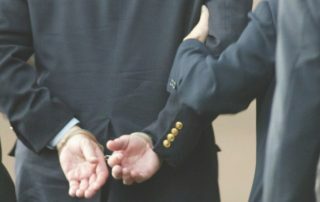 In a shocking new report published Thursday by DOJ and Homeland Security, the Trump administration shows that 92 percent of foreigners in US federal prisons are in the United States illegally. That figure represents one in five prisoners overall. THIS is why Europeans are catching on that the European Union is not good for Europe. 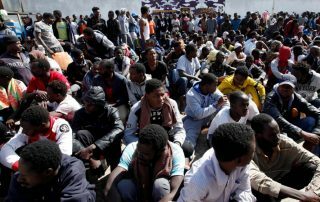 Everything the EU does punishes native Europeans, rewards illegal immigrants, and destroys the national identity of Europe’s culturally-rich countries. 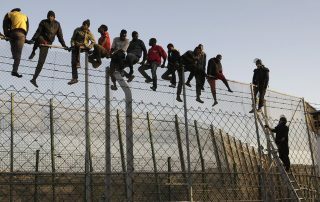 Beating border wall construction and encouraged by the daily fight liberals are waging against President Trump on their behalf, illegal immigrants are sneaking across America’s southern border again in large, Barack Hussein-level numbers. “Let them all in,” they said. 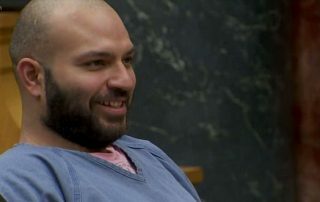 “It will be great, they said.” A Mexican man who was deported from the US 20 times has been convicted of 10 counts including sexual assault in Oregon. 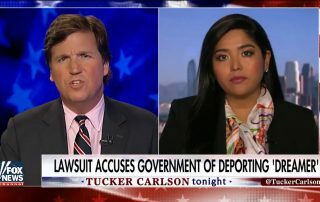 VIDEO: If you want to get away with murder in America, become a Mexican citizen. 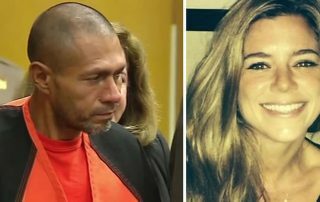 Kate Steinle’s illegal immigrant murderer found NOT GUILTY! 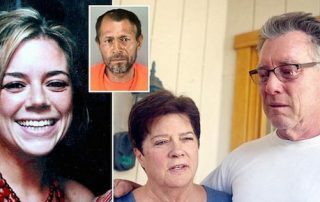 Kate Steinle’s illegal immigrant murderer, Jose Ines Garcia Zarate, who had been deported from the United States five times and committed seven felonies while in our country has been found not guilty of Steinle’s death, a true travesty of justice if there ever was one. 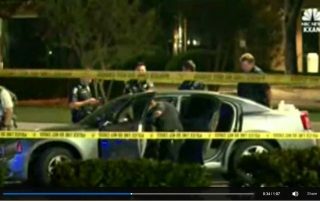 An illegal immigrant with an assault rifle went on a shooting rampage in Austin, Texas over the weekend, injuring four people, including critically wounding a 7-year-old girl in the head. 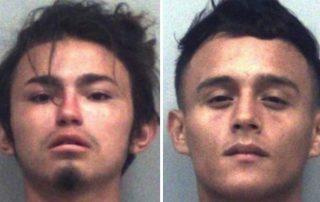 The illegal, who has an outstanding ICE detainer, claims that he was drunk. ICE submitted detainer requests to arrest and deport the individual, Jesus Fabian Gonzalez, all five times. 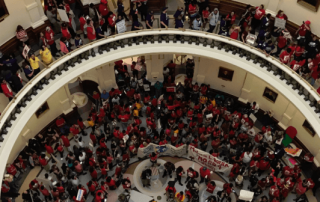 All five times the detainer requests were ignored by local police, Gonzalez being released to set more fires and kill more people without so much as a phone call to ICE to honor its detainer requests. 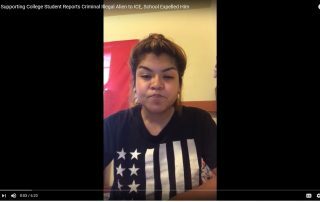 Dreamer college student brags that she is illegal and no one can do anything about it. 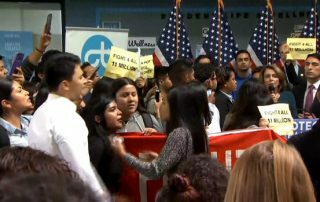 So a fellow student turns her in to ICE. He was expelled. Not kidding! The Dreamers are only hurting themselves. 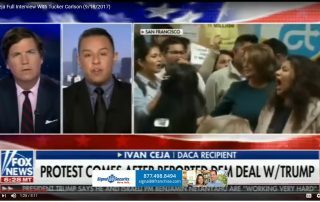 Alienating Pelosi is not going to pay off, and if they believe that President Trump is intimidated by their antics, they have not been paying attention. Illegal immigration has doubled in the past four months. There is only one solution! This can be blamed entirely on the Democrat and Rino obstructionists in Congress and elsewhere who have blocked President Trump’s efforts to curb illegal immigration. 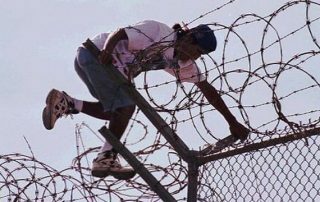 One thing is certain, a secure border wall will prevent most of the illicit flow. 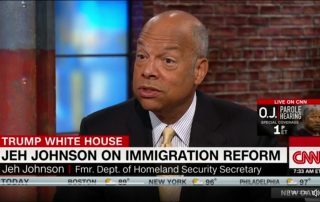 VIDEO: Former DHS chief Jeh Johnson believes President Trump’s mean rhetoric has cut illegal immigration. Wrong, Jeh! POLICY, not rhetoric. Johnson claimed that President Trump’s “rhetoric” has made illegal immigrant wannabes stay home. No, Jeh. “POLICY!” That is what changed. POLICY! Not rhetoric. While Democrats were screaming that Americans were against Kate’s Law and the bill punishing sanctuary cities, a poll was conducted, and as expected, the Democrats were wrong. VERY wrong! THIS is the kind of trash Barack Hussein let into our country and the Democrats are fighting tooth and claw to keep here. Two dozen Democrats voted with Republicans Thursday to pass Kate’s Law, which will now move to the Senate. Secretary Kelly needs to name names, then these filthy career parasites should be arrested, charged, and impeached for abuse of power. May saw an increase in illegal border crossings. The question is why? BOOM! The Trump Effect! Illegal border crossings are no longer #1 source of illegal immigration, moving to second place. Rapid turnaround! Illegal border crossings have dropped so significantly since President Trump’s election that they are no longer the number one illegal immigration problem. 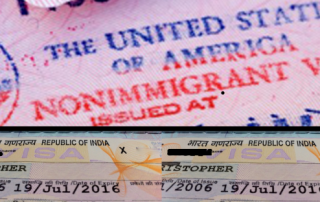 Rather, it is visa overstays. 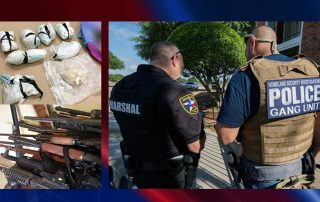 ICE conducted its biggest raid in US history a few days ago, netting nearly 1,400 arrests, over 1,000 of those being gang members. William Orrick is not a judge. He is a partisan political hack. Judges are impartial and objective. 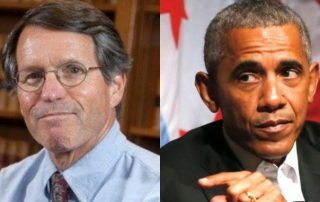 So partisan is William Orrick that he bundled hundreds of thousands of dollars for Barack Hussein. 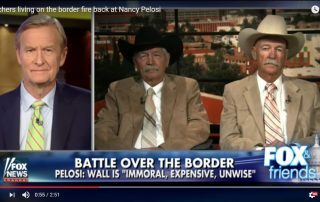 Ladd also affirmed that since President Trump was inaugurated illegal border crossings on his ranch are down 90 to 95%. She was an illegal immigrant who violated US law by fabricating a Social Security number, a felony. She used it to work in the US, climb the corporate ladder (Affirmative Action?) at Goldman Sachs…. While the work is proceeding as planned, the caseload is so enormous it has created a backlog that is hindering effective enforcement.